Johnson is a 26 year old who graduated from our Advocacy Academy program and recently graduated from Western Michigan University with a Fine Arts degree. 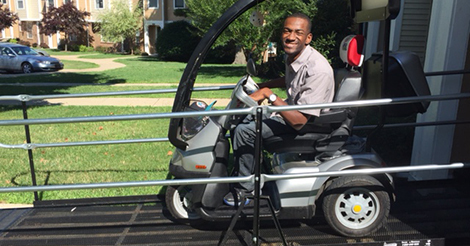 Johnson has Cerebral Palsy and drives a large power cart for mobility around the community. Unsure of what his plans would be following graduation, Johnson sublet an apartment for 6 months and was in need of a temporary ramp during this time. 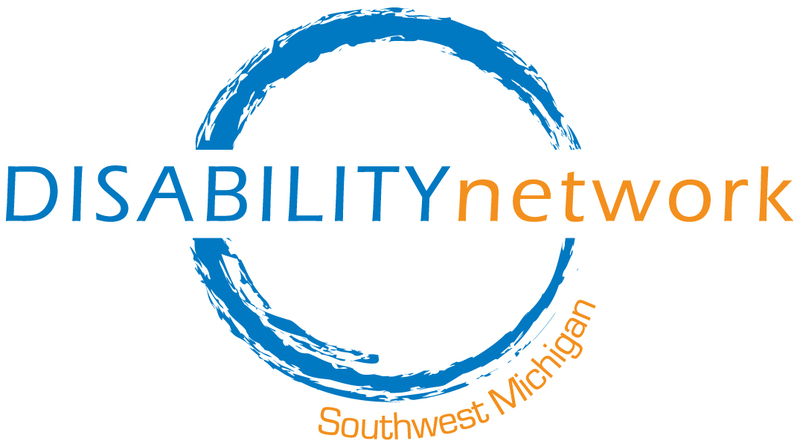 Using funds from our Ramp Up program and a grant from United Way of the Battle Creek and Kalamazoo Region, Disability Network Southwest Michigan worked with AmRamp to provide Johnson with a temporary ramp. Because of this Johnson was able to live in an apartment with a group of other students while he figured out his next steps after graduation. Since then Johnson has been accepted into University of Indiana’s Masters of Fine Arts program and will be moving at the end of this month; at that time the temporary ramp will be removed. AmRamp is an organization that provides temporary metal ramps. Disability Network’s Ramp Up program has a “bank” of ramp footage through AmRamp that can be used in cases like Johnson’s where the need is short-term. When the ramp is removed we are credited back with the footage that can then be used elsewhere. This greatly reduces the materials cost of these temporary ramps; the only expense is the labor for installation and removal. contact Kristen Potts (269-345-1516 x119) in our Kalamazoo office for other donation methods.